A miracle is defined as "a marvelous event occurring within human experience, which cannot have been brought about by human power or by the operation of any natural agency, and must therefore be ascribed to the special intervention of the Deity or some supernatural being; chiefly, an act (e.g., of healing) exhibiting control over the laws of nature, and serving as evidence that the agent is either divine or is specially favored by God." More "modern" definitions bear the brand of today's drift toward secular humanism: The Oxford English Dictionary online says that a miracle is "a surprising and welcome event that is not explicable by natural or scientific laws and is therefore considered to be the work of a divine agency; a highly improbable or extraordinary event, development, or accomplishment that brings very welcome consequences." Oxford's Americanized definition reads, "an act or event that does not follow the laws of nature and is believed to be caused by God; a lucky thing that happens that you did not expect or think was possible." Merriam-Webster online defines a miracle as "an unusual or wonderful event that is believed to be caused by the power of God; an extraordinary event manifesting divine intervention in human affairs." Miracles are not a matter of luck, accident or a sign of favoritism by some despot ruling by arbitrary whim. On the Via Christa, we define a miracle as "the result of seeking God first, and speaking the Word, 'Let'; the acceleration of a perfect natural law's action into instantaneous fulfillment." Reading about miracles builds the strength of your faith to the white hot degree necessary to draw a miracle into form on the power of your spoken Word. We recommend studying these teachings on miracles in tandem with Edna Lister's teachings on healing, faith and prayer. Every answer to prayer is a miracle. Miracles in the Old Testament: God wrought many miracles as recorded in the Old Testament, He granted miracles to the tribes of Israel before, during their travels through the wilderness, and after they divided themselves into the nations of Judah and Israel. God brings miracles to pass to fulfill His will regarding the destiny of mankind, but only after the faithful souls cry out to Him in petition for mercy. The Miracles of Jesus Christ: God grants miracles to those who believe He will heal them through His Son. God brings miracles to pass to fulfill His will regarding the destiny of mankind, but only after the faithful souls cry out to Him in petition for mercy. The Miracles of the Disciples and Apostles: God worked many miracles through his Son, Jesus Christ, and granted him dispensation to bestow the ability to do the greater works through faith. Edna Lister's Lectures on Miracles are instructive and inspirational for those who wish to learn more about miracles, how you need to be, and what you need to do to have them. Edna Lister's Sermons and Bible Studies on Miracles are perfect for inspiring courage and faith in those who need a healing miracle for themselves or a loved one. Edna Lister on the Miracles in the Old Testament are informative and a source of inspiration and assurance for those who need a miracle. Edna Lister on the Miracles of Jesus Christ are informative and a source of inspiration and assurance for those who need a miracle. Edna Lister on the Miracles of the Disciples and Apostles are informative and a source of inspiration and assurance for those who need a miracle. Pioneering Mystics on Miracles: Students of Edna Lister share their experiences in having miracles by applying her teachings. Praise God for the visible miracles and those that are still invisible. – Edna Lister, Your Royal Birth, January 24, 1933. When outer avenues seem absolutely closed, God moves. The smaller issues fade from the picture when God is working the great miracles. Take this thought with you into the silence: "The great miracle is coming to me. The great miracle I have asked for is already mine; I have it now." If some door seems closed on the outside, it is because the miracle is much larger than you have hoped. The closed door is the sign of imminent release. – Edna Lister, January 28, 1933. Love is your religion, and should make your life radiant and beautiful. You may not see immediate results from the love you pour out, but it works anyway, silently and invisibly. Anyone whose life you have touched can never escape from love. No great or small exists in the kingdom, for all are great. How much love you pour forth determines the time it takes for a miracle to manifest. Take the needy ones by the hand and never let them go. Keep pouring love on them. – Edna Lister, February 1, 1933. You can expect no miracles unless you keep your vows of silence. Further, anything you reveal about your miracles or lack of them, you must tell impersonally. Unquestionably, most ideas today are stillborn, brought forth too soon into a cold, heartless world. Gestate them in the silence of your heart until they have waxed strong to endure. – Edna Lister, August 1933. When you realize that you, of yourself can will nothing external to yourself into being, you turn on undiluted desire, and God performs the miracle. – Edna Lister,﻿Recognizing Your Good, April 22, 1934. At the beginning of the plagues on Egypt, the Egyptian magicians could imitate the first two plagues but they could not duplicate the lice. The Gemara, a Talmud commentary on Hebrew Law, states that the Egyptian magicians could not produce lice because they were unable to produce by imitation anything smaller than a barley corn. Moses and Aaron began at the bottom with the miracle of tiny lice and ascended in the Power God released through them. They were letting God use them for His honor and glory. Conversely, the Egyptian magicians used the lowest form of adept manipulation. They could not initiate a miracle, but could only use illusion to imitate what they saw. A reflection does nothing, but a miracle is an act of creation. – Edna Lister, Ten Plagues on Egypt, May 16, 1934. Every miracle comes according to your faith. Peter, who represents faith, was the first disciple called, and the first to recognize the real Christ. Daringly, Peter crawled out of the boat and got his feet wet. Yet when the physical called, he suffered cold feet as his daring failed. You can have a miracle, but first you must climb out of the boat. Risk little things first, remembering that many small miracles usually make up a large miracle. Faith is the gateway, for faith controls the portals of your mind. – Edna Lister, Faith, October 3, 1934. Miracles are out there waiting for someone to mother them. To adopt a miracle, give of God's invisible universal substance to all who call upon His name. You do not need to see the whole miracle in form. Just fill void places with a handful of His fiery etheric substance. Giving is a miracle, which opens the way for the giver to receive a miracle. – Edna Lister, God Is Spirit, November 16, 1934. Jesus said, "I am that bread of life." Miracles are your bread of life. The price you pay for them is silence under suffering, taking joy in children, and holding to peace in the midst of warfare, especially within your family. – Edna Lister, I AM THAT I AM, January 12, 1936. A miracle consists in having Power, peace and plenty, here and now. Do you believe this? Do you act as if you believe? – Edna Lister, Peace, Power and Plenty, April 18, 1937. Joy attracts and draws your own soul substance and miracles to you. – Edna Lister, The Power of Joy, October 13, 1937. You have confidence that earth is here in the morning when you arise. You know that the sun is behind the clouds, and that the moon and stars will light the night sky. Why do you not have a similar confidence in God, His mercies, gifts and miracles? – Edna Lister, Confidence, January 30, 1938. If you call each darkness you meet in life a miracle, it shall turn into Light. Stand on the great Mount of Miracles, and as our Master said, Whatsoever you declare shall be done unto you. – Edna Lister, November 10, 1939. Faith can open all doors, overcome all darkness, overlook all weakness and perform miracle after miracle. – Edna Lister, November 29, 1939. A woman having an issue of blood twelve years, which had spent all her living upon physicians, neither could be healed of any, came behind him, and touched the border of his garment: and immediately her issue of blood stanched. And Jesus said, Who touched me? When all denied, Peter and they that were with him said, Master, the multitude throng thee and press thee, and sayest thou, Who touched me? And Jesus said, Somebody hath touched me: for I perceive that virtue is gone out of me. And when the woman saw that she was not hid, she came trembling, and falling down before him, she declared unto him before all the people for what cause she had touched him, and how she was healed immediately. And he said unto her, Daughter, be of good comfort: thy faith hath made thee whole; go in peace. – Luke 8:43-48. You can hear intuition speak to you when you are open to the Light above. Intuition told the woman with the issue of blood that she would be healed if she touched the Master. She was ready to crawl to him, since even her friends would not take her to him because she was ritually unclean. How greatly do you want a miracle? Desire dictates the quality and quantity of your effort. Inspiration is breathing the Breath of Life, and when you do, it inspires you. – Edna Lister, ﻿Heavenly Manna, July 8, 1940. When another is likely to interfere with your work for a miracle, do not even tell him what you plan in the first place. – Edna Lister, ﻿Heavenly Manna, July 8, 1940. Pray and know that release from worldly cares is yours now. No worldly ideas may clog the ways or works of God. Stand in absolute confidence in the faithfulness of His Power and love to fulfill all His promises. Wait upon the Lord in the high place of sanctuary and poise while you work out your salvation below in your daily affairs. When you claim "miracle after miracle" as your heritage, it shall be so. Continue declaring, "Miracle after miracle," and it shall be so, to all alike. The Power will move forth and perform miracles beyond your ability to conceive as a possibility. – Edna Lister, August 2, 1940. When you live high, agreeing with the Light at the balance point of poise, you can express the necessary patience in peace. You will enjoy miracles and be happy in them. – Edna Lister, August 9, 1940. Surrender now to the full Power of God, as its servant. Move forward on an ever-ascending current of joy until you truly will have miracle after miracle. – Edna Lister, November 14, 1940. Honor is to wait upon the Lord in faith and the answer you need, the miracle you need, will bear you forward with its unconquerable stream. – Edna Lister, December 15, 1940. Unconquerable faith and unquenchable love are active principles, and to the soul who holds to them honoring God above all things – and honor the greatest of all – nothing is impossible. This is the truth, and cannot be gainsaid or set aside. Hold fast to this truth, and carry your torch of glory high above all that earth can produce of doubt and fear or subtle, insidious ideas of lack and limitation. Let’s go on in strength unfaltering. We shall win! Miracle after miracle. "I AM now a miracle!" – Edna Lister, December 15, 1940. "Let love fill my desire-molds full to overflowing. Let love, the creator, now bring forth miracle after miracle, miracle upon miracle, until all my creations are visible. Thank you, Father, you always said yes, you always will say yes, and you are now saying yes. I now pronounce all my creations good and very good." – Edna Lister, February 5, 1941. Miracle after miracle. Miracle upon miracle. Tune in on Station Miracle for what you need and desire. – Edna Lister, February 26, 1941. Only love can work miracles for you. Only love can fulfill the laws of perfection and your needs. Have you tuned in all week on the Miracle Station? "Miracle after miracle. Miracle upon miracle." This is yours to use. – Edna Lister, March 19, 1941. May miracle after miracle and miracle upon miracle cover this whole earth and give us the grace to say, All is well, under all situations. When you insist on declaring, "All is well," you have some vibration. – Edna Lister, April 8, 1941. Where are you going? What is happening? How shall you meet it? Unconquerable faith and unquenchable love contain the answers to all these questions. Let faith possess you. Let it use you unto all perfection. Let unquenchable love create miracle after miracle, and miracle upon miracle for you. – Edna Lister, Destiny, May 25, 1941. If you believe in man-made miracles like motion pictures, why don't you believe in God's miracles? All you need to do is to let faith flow through you and let unquenchable love overcome anything that threatens you. – Edna Lister, Eternal Life in the Word, June 29, 1941. Joy is the miracle worker. Love is the miracle. – Edna Lister, August 1, 1941. Allow the joy of love to possess you with its unquenchable flame of pure glory. Miracles are made of the joy of love! – Edna Lister, September 10, 1941. Love is the only miracle. – Edna Lister, October 21, 1941. Do you know that today is the exact day for the miracles you've nourished, prayed and praised for? If you do not know your miracle is coming today, this very hour, then you are not expecting it. You have not really prepared for its coming. You prepare for a guest, you know. When you grow into that expectant attitude that looks for the miracle guest every moment, every day, you shall truly have miracle after miracle and miracle upon miracle. If you want something you lack, or if you have something you do not want, you are not expecting your real desire fervently enough. If this is just another day, you are not expecting anything new. If you are waiting for tomorrow, sometime or after a while, you are putting off the miracles you've prayed for. – Edna Lister, November 5, 1941. Love is the only miracle that exists. Enough love overcomes anything. – Edna Lister, The Yoke of Love, December 7, 1941. You express your faith in when you pray, but express your faith of God as confidence in His ability to perform miracle upon miracle. – Edna Lister, January 20, 1942. "God now works to add and multiply all good in my life. God now works to add and multiply all good in your life. God now works to add and multiply all good all good in our lives." This means all, not half or a quarter of the good, but all. It does you no good to just think about it. Use it! Declare, "God now works to add and multiply all good in my life," a thousand times a day. If you start to say it a thousand, you may remember to say it three times at least. If you used it a thousand times, you'd have a miracle a day – so declare, "A miracle a day, 365 days a year." – Edna Lister, February 10, 1942. Every great miracle has come in the wake of someone's fervent call on God in prayer. – Edna Lister, The Glory, Illumination, April 19, 1942. Each of earth's avatars demonstrated their teachings, until Jesus, who worked miracles. You must understand the difference between demonstration, versus speaking the Word for a miracle. A demonstration is intended to show something or prove it, and begins with an imperative command, a demand, such as "Come." A miracle is the result of seeking God first, and speaking the Word, "Let." You are a potential miracle worker when you speak the Word. To prepare, first say, "I so love You, Father," then make your declaration in love. Nothing is impossible to love. – Edna Lister,﻿ The Word Became Flesh, April 26, 1942. Declare that Light changes that which you do not want into that which will fulfill every miracle for you and your loved ones. Declare, "Father, I am irresistibly, rapturously expectant of this miracle. You have all the ideas I need and that can come through from You to fill this mold." – Edna Lister,﻿ The Joyful Conqueror, June 7, 1942. Your results with praise are in the exact ratio to your use of praise. The heat with which you praise determines the result on the other end — your miracle. – Edna Lister, September 29, 1942. The only need for success for miracle upon miracle is to but touch the hem of the Master's robe. So, let’s touch the hem of his robe in deep humility and know Him. – Edna Lister, April 7, 1943. Band together as never before in loving one another. For if you were to love one another as one, miracle upon miracle would happen. – Edna Lister, April 18, 1943. You have seen miracle upon miracle on earth as they are performed daily, many by words of prayer and faith. If you have forgotten the magic words, "Thank you," expect to be turned back to the Father to thank Him. If you desire something new, you can bring it forth from the invisible to the visible. That is a miracle. What you ask in the Father's name arrives as a miracle. – Edna Lister, April 29, 1943. To seek the kingdom of God first is to contact all God's Mind, Substance, and creative Power for your miracles. The size of all your loving determines how much creative Power you contact. How great is your all? Are you loving God with your all? If you have love enough, you are perfect and will know perfection now. – Edna Lister, ﻿Thou Shalt Love, May 16, 1943. Love works the only miracles. Love is the only key to open closed doors. It seems hard to blame yourself when doors stay closed, but it must be so. It isn't that you've grown lukewarm compared with your past loving, but that you are very lukewarm when compared with your future abilities. The only way to become ever greater in Power is by realizing that last month's love is not great enough to fill your creations for this month. This is God's only way of telling you that there is much more Power to draw upon, much more love to use. – Edna Lister, September 16, 1943. "This is my day of Miracles!" It is. And there is no end to them – no limit. Bigger and better miracles. – Edna Lister, October 2, 1943. Fill your prayers with joy and gratitude for miracles past, present and to come. A smile is your sign of the love of God, showering the world as the Master's own compassion. – Edna Lister, April 1944. A miracle is an acceleration of law. The Father always says, "yes." God gives you the whole apple. He doesn't take a bite out of it first! Thank the Father that you already have it. – Edna Lister, July 14, 1944. Enough Power is coming through to truly perform any miracle for anyone. Make up your mind exactly what you want. Then, decree it, thanking the Father that He always says "YES." Then keep your mind made up, praising Him without ceasing, day and night, until your miracle comes to pass. And, it shall come to pass, as spoken. – Edna Lister, September 19, 1944. When you begin to comprehend what love is, then you'll truly have miracle after miracle and miracle upon miracle in your life. – Edna Lister, October 17, 1944. You have to help yourself as you pray. When you take care of the body, breathing, food, and plenty of water a day, God can and will do all the rest, according to your faith, which is according to your present idea of His ability to work miracles, and His Power. – Edna Lister, December 21, 1944. When a crisis comes, do you know you will have a miracle? God's winds always blow for you and with you. When you lift everything to God, He holds it all in His hands. – Edna Lister, January 1, 1945. God does it all, according to your faith, which means according to your present idea of His ability to work miracles and His Power. Declare, "I am now become the Servant of all Thy Power, oh God. Use me as Thy Servant and let all Thy Power move through my body, cleansing, purifying, melting, dissolving and absorbing every cell into Thine own perfect image and likeness. Thank You, Father. You always say yes!" – Edna Lister, February 1, 1945. The love of God in action, moving through at the point of white heat, brings the miracle. His substance flows from the Source of All Light and back again under the laws of addition and multiplication. Whatever darkness has subtracted or divided, Light adds and multiplies as a miracle of healing. God made us in His image and likeness. We came from the Source and must return to it again. Anyone who has won through and returned to God is the one who has the grit to struggle steadfastly. He has knocked so constantly that God has opened the door. When you want a miracle, but find yourself wavering and doubtful, knock harder at the doors of heaven. Continue thanking and praising God for the miracle of healing, and declare that it is so. – Edna Lister, ﻿You Are a Creator, February 25, 1945. Today's culture aspires for more — more luxuries, more clothes, more money, more cars, more land, more things. What you need is more love, more knowledge, and more God for more miracles. – Edna Lister, ﻿Aspiration, March 4, 1945. The law of nonresistance is the law of miracles. Agree with thine adversary quickly, whiles thou art in the way with him. – Matthew 5:25, perfectly expresses the law of nonresistance. Nonresistance is invisible to an enemy. Because he was nonresistant, Jesus was able to disappear at will, whenever his adversaries became violent, which is one of the eight great powers of being. He also reappeared eleven times. – Edna Lister, ﻿Surrender to Love, March 18, 1945. Today's cultural aspiration is for more – more luxuries, more clothes, more money, more cars, more land, more things. What we need is more love, more knowledge, and more God for more miracles. Most people desire such things as more clothes, money, homes, and things to please the self. Soul desires miracles, and God. "Little me" is tired of waiting, but I AM awaits God patiently. – Edna Lister, ﻿Aspiration, May 6, 1945. "I am now possessed by the infinite, limitless and unchangeable glory of the Almighty. Every part of my body, heart, mind and affairs is permeated and exalted. I am now walking the Miracle Pathway. All things else shall be added unto me, through Jesus Christ our Lord." – Edna Lister, July 12, 1945. Seek ye first the kingdom of God, and His righteousness. – Matthew 6:33. You must obey this law, completely depending upon fulfilling the promise that it contains, "and all these things shall be added unto you." This is the promise that you shall have your miracles. – Edna Lister, ﻿The Keys of the Kingdom, September 1, 1945. Miracles happen on a joy vibration. The only way you can reach reach the highest joy vibration is through praising God. Praise alone will bring miracle after miracle, miracle upon miracle. – Edna Lister, September 10, 1945. "This is my year of fulfillment and each hour is full of miracles for me, for you and for the world. This very hour, I am one step nearer my miracle." This is your chance to prove God's miracles by letting Him use you. Ask, seek, knock persistently, constantly. Make yourself do everything you have planned so long. Take one step each day toward the desire. – Edna Lister, January 25, 1946. Pray in abundant joy, for so shall the joy vibration go forth in might and majesty to perform its perfect work. The greater your praise, the greater your returns shall be. The more of this potent Substance-as-Power you use as praise in joy, the speedier its return as your own miracles. – Edna Lister, February 8, 1946. A heavy heart delays your needed miracles. – Edna Lister, March 22, 1946. God is the one Mind, the one Substance and the one Power everywhere evenly present and available to use for all miracles. You may freely partake of all that God is and has. – Edna Lister, March 22, 1946. Any argument is opposition by the self. Agreeing with God and adjusting to the adversary without an argument creates a miracle. All agreements are the soul's expressions of love. – Edna Lister, ﻿Aggressive Christianity, November 17, 1946. A disciple knows that God is not only a state of consciousness, but a personality. God is complete, and He wants completeness in a miracle. God is never satisfied. He is all the Mind that is, all the Substance that is, all the Power that is. If you want to "rest," you can do so for eternities, and any way you follow is perfect. Yet if you are a disciple of Jesus, you will be a 100 percent miracle. Miracles come according to the heat under your faith, and your love of God is the flame. – Edna Lister, ﻿The Three Phases of Life Through Faith, April 20, 1947. Your prayers must include joy and gratitude for miracles past and miracles to come. – Edna Lister, ﻿The Three Phases of Life Through Faith, April 20, 1947. Love, added to the creative power of thought, works wonders. This is how the law of love pays you dividends. – Edna Lister, ﻿The Voice of Conscience, May 27, 1947. The law of faith is, Faith is the substance of things hoped for, the evidence of things not seen. – Hebrews 11:1. Faith is the substance with which you create from the invisible to the visible. Faith is the assurance of the things you hope for, your surety of God's omnipotence. Faith is how you know that substance is there and that God always says yes. You must maintain spiritual contact by staying in the high place of consciousness. So, with that assurance of knowing, nothing can hold back your miracles. Peter could walk on the storm-tossed waters as long as he looked up in consciousness toward the Master, and remained at one with him. When he let his mind turn to thoughts of the lashing waves, his doubt and fear caused him to sink. In his moment of need, he cried, "Save me, Lord," and regained his fearlessness of soul. By evicting the doubts from your thoughts, you can remember that whatsoever you ask, God will grant. You can maintain your spiritual contact because the law of faith works. – Edna Lister, ﻿The Voice of Conscience, May 27, 1947. Praise releases the most Power. Praise. Praise. Praise. Praise increases your soul's glory and creative powers. Praise causes creative substance to quicken in its action. Praise releases miracles. – Edna Lister, February 19, 1948. A singing heart is your first miracle! Dozens will follow that. – Edna Lister, March 28, 1948. You must make a sacrifice for healing or a miracle for another. – Edna Lister, June 5, 1948. If you refuse to see something, to accept responsibility or to pay your own soul debts, you will fail to have miracles. – Edna Lister, ﻿The Twelve Tribes, June 22, 1948. Light is the only answer to treachery and trouble. It covers darkness in Light until the darkness becomes Light and brings miracles. – Edna Lister, December 18, 1948. Climb to the 100 percent level for 100 percent miracles. You get only 10 percent on the 10 percent level. Look up to God. When you get to the boiling point about a miracle, the Power moves through and does something. The source of life is in the Mother Love ray. Light is the original substance from which everything descended. When Light moves in and possesses you, you must be perfect. If you leave any part out, Light doesn't occupy it fully. Stand under the Light when approaching a patient. Light heals. He will either get well or be healed on the inner later. "If it's God's will" implies no personal responsibility. The only responsibility is to get under the Light. Man's creations in the world attract darkness. If you lift it as you walk through it, no darkness remains. – Edna Lister, February 4, 1949. God's ways are miracle ways. "I am now firmly walking the miracle pathway! All things else shall be added unto me through Jesus Christ our Lord." – Edna Lister, April 11, 1949. Love covers the other fellow's transgression, loves its neighbors, forgives its enemies seventy times seven, or until it forgets. Love is universal timing. Love can say "yes" when the time is right, or "no" when the time is wrong. Love fulfills the law, and only love can work miracles. – Edna Lister, ﻿Mother Love, May 8, 1949. Ignore the world. Draw from the bank of joy and love, and take time to live as joy and love to produce miracles. When you can’t do anything about it, God steps in and does it. – Edna Lister, July 7, 1949. Never let go of the foundation principles of Jesus Christ. God never stands for a 50 percent or 90 percent miracle. March up to where the 100 percent miracles happen. Get better than red hot in fervency, to the white point of heat for a miracle. The best miracles of all come from the molten principle of love. – Edna Lister, September 3, 1949. Man's relationship with God is classed among the greater mysteries. Jesus worked miracles through his relationship with God. As he did, you must see with the eyes of perfection. A miracle is to see "it" as being perfect, fervently enough. – Edna Lister, ﻿Agree and Adjust, November 20, 1949, letter. When you can face the Lazarus of your life, the barriers of death and cold, and declare, "This is good," miracles begin to appear. When you think of the negative things for even a few seconds, you cut the lines as with shears. The lines cannot carry Power to you then. – Edna Lister, November 25, 1949. "I rejoice in the fulfillment of this miracle, for all those on earth who partake. Thank You, Father, that it is so." – Edna Lister, February 17, 1950. A miracle is either an act or a process, according to your desire, awareness, recognition, acceptance and surrender. – Edna Lister, April 16, 1950. Describing a miracle gives the doubters a club to use over you. Power works best in the silence, so resist the urge to talk about it; remain silent. – Edna Lister,﻿The Dead Shall Arise, April 19, 1950. Enough faith is enough love. Enough love is the substance and miracle of healing. – Edna Lister,﻿ Healing the Seat of Vision, May 10, 1950. Any miracle can be wrought by prayers of love and songs of praise offered in faith unconquerable. – Edna Lister, July 28, 1950. "And it came to pass." Hebrews 11 is the greatest chapter of miracles through unconquerable faith. It is all about the miracles showered on those who had faith, though it may have been unconscious. Read it often to release Power, to spark your interest in God, and to find new ways to exercise your faith, for "He rewards those who diligently seek Him." – Edna Lister, And It Came to Pass, September 10, 1950. Life sometimes hurts if you let it, but you can make your personal kingdom into pure glorious Light when you see it and declare it so, for joy about even the smallest miracle brings the next. – Edna Lister, And It Came to Pass, September 10, 1950. Your gratitude and praise return to you as abundant miracles. Since your Father's "good pleasure" is to give you what you need, praise, glorify and thank God that you already have the funds you require. – Edna Lister, And It Came to Pass, September 10, 1950. And now abide faith, hope, charity, these three, but the greatest of these is charity. – 1 Corinthians 13:13. Faith is full of God's glory, hope is your goal of perfection, which is God, and charity produces your miracles. – Edna Lister, Promises Fulfilled, September 24, 1950. Early in the 20th century, when healing was still closely related to practical applied psychology, Dr. Thomas Parker Boyd, a minister and psychologist, healed a woman instantaneously of a psychosomatic goiter. Yet the goiter returned until she cleansed her subconscious mind of certain earthly ideas. She needed a process before the act of a miracle could occur. The psychological basis is apparent in many stories about miracles Jesus performed. For example, Jesus anointed one blind man's eyes with mud, then sent him to wash in the pool of Siloam, as a process to change his mind, because ideas of blindness had filled his subconscious mind from birth. You must remove every prejudice, opinion and negative emotion from your life before you can receive a lasting miracle. A miracle is either an act or a process according to your desire, awareness, recognition, acceptance and surrender. Sometimes instantaneous healing is not best for you. You must cleanse subconscious fears and ideas first, and have a burning desire to ascend before the appearance of an outer ailment will disappear. – Edna Lister, ﻿What I Do Have, I Give, October 1, 1950. Do not look around to see if you are having a miracle. Joshua led Israel around the walls of Jericho for seven days without once looking back, and the walls fell down. – Edna Lister, I Remember, October 8, 1950. How do you know when you have prayed enough? Not until the miracle is performed. So many people in life look on, hope for the best, expect the worst, and quit. Why quit when every choice can move you a step closer to God? Take off your dark glasses and live in the Light. – Edna Lister, ﻿Three Temptations on the Way, November 12, 1950. A miracle is the difference between the absolute faith of God and the relative faith in God. Start from Light and know that everything unfolded from and must be enfolded back into Light. – Edna Lister, November 14, 1950. God is a cause. Every cause has an effect, according to its kind and degree. Illumination and intuition form the I AM consciousness of the Christ mind. At the worst, most difficult point in life, you can declare, "I choose God," and the miracles will begin to pile up. – Edna Lister, Scientific Cosmic Principles, December 3, 1950. Miracles happen like clockwork when you know law and abide by it invariably. As you live by the faith and the love of God, which opens Christ consciousness, you gain steadfastness and may experience many miracles as answers to prayer. – Edna Lister, The Golden Chalice, June 15, 1951. Step into the creator stage of consciousness in devotion to God and you step into the realm of the miraculous. – Edna Lister, ﻿The First Days, June 17, 1951. When you fine tune your concept of responsibility to God, your spoken Word returns more rapidly, bringing greater miracles. – Edna Lister, The Candle of Glory, June 24, 1951. It is a miracle when you turn from lack, fear, doubt, and age to enough Light. – Edna Lister, ﻿June 24, 1951. The creator bridges the abyss of self and enters the realm of the miraculous. – Edna Lister,﻿Agree in Time, July 1, 1951. You need only to inhale and exhale consciously, remembering that the Mother's potential as consuming fire will cleanse all dross. The Father's potential fills the world to overflowing, as the process of miracles. The creative Mother is the invisible substance of cosmic rays that becomes visible as bread, leavened or unleavened, ready to eat. You work for the leaven, which is useless unless inseparable Mind, Substance and Power are present as your perfect miracle, when you breathe them consciously. – Edna Lister, The Secrets of the Hidden Mother, July 22, 1951. When you compare Jesus' miracles — after he changed water into wine, increased the bread and fishes, healed the woman who touched the hem of his garment, and Lazarus, whom he raised from the dead after three days — with Joshua's fallen walls of Jericho, you see the results of an active faith. Nothing about unconquerable faith is passive. – Edna Lister, ﻿The Flaming Sword, July 29, 1951. A thread of the steadfastness of faith runs through the Bible's miracle stories. Those who make decrees of faith and stand on them have their miracles. The miracle's speed and completeness conforms to the quality and steadfastness of your faith. A miracle decreed thirty years ago can come to pass now as completely as one you decreed three days ago, but why wait thirty years for a miracle you can have today? When you need a miracle, read Hebrews 11, which builds faith and forms the bulwark of faith's power behind anyone who seeks help. It has the same effect in your life as tuning your radio dial to a higher frequency station. Most people would like to have miracles to fall into their laps by praying without acting, but faith is divine activity, not passivity. Steadfast God-consciousness and constant prayer are the activities that back a miracle. – Edna Lister, ﻿The Flaming Sword, July 29, 1951. A continuous state of grace sets the timing for a miracle of healing. – Edna Lister, July 30, 1951. God's Love is the heat of the universe. Burning desire, burning faith and love produce miracles. – Edna Lister, August 2, 1951. A little five-year-old girl was present when the doctor told her parents that her baby brother was so ill that only a miracle could save him. They lived in a poor district and could never afford the surgery. The child emptied her bank and took her few coins to the drug store. She put her pennies, nickels and dimes on the counter, saying, "Please, I want to buy a miracle." The druggist did not understand her request, but a man, who had come in asking for directions, was standing nearby. He leaned down and asked why she needed a miracle. She told him all about her baby brother and what the doctor had said. This man was a famous surgeon who was traveling through town. Intrigued, he investigated further, and a day later performed the operation that saved a boy's life and answered a child's prayer. You cannot buy a miracle with small change. The price of a miracle is unconquerable faith, the same kind of faith as woman in the crowd surrounding Jesus. The little girl who wanted to buy a miracle is the modern example of love's faith for another, as Jairus had for his daughter. Love's unconquerable faith evokes such responses as, "Maid, arise! Lazarus, come forth! Be thou healed!" Like the woman in the crowd who touched Jesus' garment, you need only to call on the name of Lord in conscious unconquerable faith. Light as Power, as atomic energy flows through and heals you. – Edna Lister, Prove Me Now, October 28, 1951. Multiply your life, and do not divide it. Division separates the life of God. Why settle for a 10 percent miracle, or even 50 percent? Be satisfied with nothing short of 100 percent, a complete miracle. – Edna Lister, Prove Me Now, October 28, 1951. Spirit cannot be touched, harmed or separated. It is perfect. You have fewer than ten physical seconds of time between a blow and when a miracle can happen, if you gird up your loins in absolute faith. Keep your loins girded. – Edna Lister, October 28, 1951. Fill heaven with gifts of praise, and God can return them as miracles. You will hold the miracle in your hands when you love God enough. If the miracle is incomplete, you have short-changed Him on love. Ascend your selfish desires, for you may not lower God's will to the self. – Edna Lister,﻿ I AM THAT I AM, November 25, 1951. The more self you give up, the more you love, the more faith you have and the more miracles you perform. – Edna Lister, February 4, 1952. When you align your relationship to God as Mind, Substance and Power, as principles, miracle after miracle comes. Miracles happen like clockwork when you know law and abide by it. You are gaining steadfastness and shall have many miracles as answers to prayer when you are living by the faith and the love of God, which opens Christ consciousness. – Edna Lister, ﻿The Golden Chalice, June 15, 1952. Having miracles means you really believe God! A miracle builds faith and as it builds, the more miracles come. – Edna Lister, August 31, 1952. God's Light expresses through you, and it returns redoubled, as all "added things" and miracles. If you would have it thus, then do not say, "I accomplished this," but "The Father has used me." This is a greater expression because it returns instantly, in the equivalent of all your past prayer power and the Light you have sent forth. Declare it good, and it comes rolling back as compound interest accrued to you. Law is inevitable in its action, and is under the control of one who says, "Not I, but the Father, His Light goes forth to do the work. In that Light is His greatness performed through me. Your Power, O Father, which I call through me, is thoroughly inevitable and irresistible in its power to increase the good." And so it is. One miracle after another shall be yours, and the world will say, "What do you have? I would like to know." – Edna Lister, September 14, 1952. Gradually, you begin to have miracles without making statements for them because you always seek the kingdom of heaven. After being a showy demonstrator, you know and just "let" the miracles happen because you comprehend that law is perfect and God made you for it to use. You must overcome through faith, live by the love of God, not love for God, by the faith of God, not faith in God or unimportant words. – Edna Lister, September 21, 1952. "Lord, give me faith and confidence and please, a twinkle in my eye. And every morning I will say, 'There's something happy on the way and God sends love to me.' I know I have Light enough for the next step, which is all I can use at that moment. This is my day of finished, fulfilled and completed miracles." – Edna Lister, September 14, 1952.
Who can be against you if you declare that God is for you? Stand on this truth and it works miracles. – Edna Lister, The Magic in the Sky, October 5, 1952. Edna Miriam spoke of a Catholic woman whose husband had spit on a crucifix and on her. Edna Miriam had her go to church, light candles to the saints, then kneel at the chancel rail and pray only to Jesus, believing the twelve saints were praying with her. Edna Miriam said, "He’ll run out of spit before you run out of prayers." The miracle followed. – Edna Lister, November 16, 1952. The proud creed of self love, posing as realism, preaches, "I am a realist. There's no such thing as a miracle. They're just unreal illusions." Yet your goal is to ascend to soul love in the realm of the miraculous. – Edna Lister, ﻿The Living Chalice, December 7, 1952. You limit the daily miracles in your life because you do not yet grasp the mightiness of God's Power to be sent through you to conquer all remaining evil when your choice becomes limitless enough to vision such power of love. Only when you reach up and hold fast to the faith of God and stand in the full Light, filled with Light only, ignoring completely and forever all thoughts of earth and earth’s ways, can you have miracle upon miracle every day of the year. – Edna Lister, January 12, 1953. GOD in Heaven is GOOD on earth and we call God’s name (GOOD) on all creations; this is the three (GOD) falling into the four (GOOD). It overcomes all resistance, causes the great miracle and sets aside medical law. What doctors say doesn’t mean a thing. – Edna Lister, May 28, 1953. Prayer is how you ascend in consciousness. Love is the key to successful prayer. When your prayers are love-filled, you have miracles every hour. – Edna Lister, Aspiration and Prayer, May 21, 1953. A miracle is an acceleration of natural law that eliminates delay. You enter that place where you can "see" and make it manifest. Under prayer and burning desire, you set aside time and space, and substance hastens into form. Expand yourself into a timeless, spaceless consciousness and God's law acts accordingly, instantly. – Edna Lister, May 29, 1953. Your desire for a miracle is like knocking at the door. After you have asked, open the door and say, "Come in. Father, I know You have already supplied it. Let it become visible." – Edna Lister, Gifts and Giving, June 14, 1953. God can bring a miracle to pass on your declaration of His glory. – Edna Lister, June 23, 1953. You may continue having miracles for weeks, then suddenly you hit a brick wall because you have fallen from your high state of consciousness and lost spiritual coordination. Spiritual coordination converts your actions into an act, not a process. – Edna Lister, ﻿Success Through Divine Action, July 14, 1953. Say, "I love You, God," a thousand times a day. It will bring any person or situation from defeat to success. – Edna Lister, ﻿Success Through Divine Action, July 14, 1953. A declaration after a miracle: "This is Name's fulfilled completed miracle of healing. Let all force unleashed, loosened and dislodged now be ascended into the heart of the fire to be added again as Power to the purified substance from which it was separated when misused." – Edna Lister, October 1, 1953. When Daniel was in the lion's den, he fell out of step with the world and in step with God. God entices you with every breath you take and Light fills your bloodstream. God does not criticize the way you approach Him, but entices you to ascend. He throws the master switch of Power to fill you with the blood of the Lamb, the Power of the Holy Spirit. He asks, "Why are you afraid? The more constant thy standing under the Light, the greater thy miracles each hour, for the name of the Light is Miracle. And when you are possessed by the Light, you become the miracle in perfection, which demands transformation unto itself." Why are you afraid to stand up and say, "I am healed"? Why are you afraid to look into the invisible and appropriate the substance? What holds you from taking the most evil thing in your life and saying, "This is the most wonderful thing that has ever entered my life"? Strength consists in stripping your self to give. Stop apportioning your love in drops, and give lavishly to all, despite their degree or kind. – Edna Lister, ﻿Look Up and Live, October 4, 1953. By applying the tenets of mysticism, yesterday's mysteries become today's miracles, recognizable as an acceleration of law. Our breakthroughs in biology, the sciences and technology, from wonder drugs to atomic bombs, were all mystical mysteries before their originators brought them through the veil into visible reality. – Edna Lister, October 5, 1953. The more constant your standing under the Light, the greater the miracle each hour, for the name of the Light is "Miracle." And when you are possessed by the Light, you become the miracle, and the miracle releases the ultimate in perfection, which demands transformation into itself. When your body does not respond, or any part of it hurts, you are not yet a miracle and the part that hurts is soul-empty. – Edna Lister, October 13, 1953. When you have done all, when you have lifted enough, released enough power, joy and love, then the miracle is in your hand. – Edna Lister, ﻿Wearing Your Armor, November 15, 1953. Jesus told us, "He that believes on me, the works that I do shall he do also; and greater works than these shall he do; because I go unto my Father." – John 14:12. You open more spiritual faculties each time you say, "I do the greater works." – Edna Lister, ﻿Seeing the Salvation of God, November 22, 1953. Gratitude for one miracle opens the way for more. You have daily miracles that you never notice. Thank your Guards, who save you from one small catastrophe after another. Tell God, "I love You!" Listen for that knock at your door. – Edna Lister, ﻿Behold, I Stand at the Door, November 29, 1953. You feel crucified when you focus imagination downward. Your descent into a puddle of self-pity is as instantaneous a miracle as your ascension. So you curse or bless God, depending whether you go down or up in consciousness. Yet God knows only instantaneous miracles. From the moment you speak, God says yes. Joy is the keynote of miracles. Stop being a miraculous slider-downer. Be a miracle climber. – Edna Lister, ﻿Your Life’s Plan, May 16, 1954. To "see to believe" and to use law never works, but to "believe to see" how law uses you, creates miracle after miracle. – Edna Lister, May 30, 1954. A joyous attitude is the dial you turn to miracles, miracle after miracle and miracle upon miracle as your portion. You move to a place where wonders never cease. The joy vibration is the miracle vibration. – Edna Lister, June 18, 1954. A miracle is the fulfillment of desire, but our results on the outer usually haven't warranted the title of miracles. Faith is the switch that tunes you in as an instrument to decree and release Power. You must stand firmly on the rock of faith to fulfill a miracle. – Edna Lister, ﻿I Arise, June 20, 1954. A miracle consists of your ability to recognize the action of law in your life. Miracles abound when you are able to recognize the action of law in your life. Small miracles, like almost dropping something but catching it in time, happen all day. Blaming the "almost" is cursing God. Love God enough to praise Him instantly. ("I almost dropped it!") Love God enough to praise Him instantly. Ascend to the kingdom of miracles. Seek ye first the kingdom of God. – Matthew 6:33. The kingdom is your heritage. Once you decide to collect your inheritance, you discover that your only choice is God. "Trying" will bring you to the boiling point, but it takes choosing God, first and always, to bring you to the white point of heat needed for a miracle a minute. Ascend and love God enough! Enough is when you hold the miracle in your hand. Every request is good, even if you burn your fingers, or your desire may be gone when you get what you prayed for. When you love God enough, and make strong decrees, He will send the right answer that will expand with your joy and needs. – Edna Lister, ﻿I Accept, June 27, 1954. Ascension is moving inward and upward to the world of miracles. The mundane world will see and believe when enough people ascend to the miraculous world. – Edna Lister, ﻿I Ascend, July 11, 1954. A miracle cannot happen on a line of weakness. When you make a declaration for a miracle, you must know that Power does come through on your spoken Word. – Edna Lister, ﻿Jesus, the Ascending God, December 19, 1954. What determines the length of time needed for a miracle? Not only the height, depth and breadth of your surrender of self but the completeness of the marriage of your appetitive soul, rational soul and Oversoul. If it is but a trial marriage, it could take years. – Edna Lister, January 12, 1955. You must love God enough to penetrate your personal sonic barrier into a joy that is Power in action, into unconquerable faith, a place of miracle after miracle, miracle upon miracle, an ever ascending goal. – Edna Lister, ﻿Aspiration and Prayer, June 19, 1955. The act of a miracle moves up in one step: Let this mind be in you, which was also in Christ Jesus: Who, being in the form of God, thought it not robbery to be equal with God: But made himself of no reputation, and took upon him the form of a servant, and was made in the likeness of men: And being found in fashion as a man, he humbled himself, and became obedient unto death, even the death of the cross. – Philippians 2:5-8. This is your background for attaining the act of a miracle. To be equal with God is not robbery. Everyone is equal in his ability to serve, to surrender, to be obedient. – Edna Lister, ﻿Salvation Through Faith, July 10, 1955. Today's rejoicing creates tomorrow's miracles. Today's living waters are tomorrow's success, new position, salary increases, new ideas, new joys. – Edna Lister, ﻿Living Waters, September 4, 1955. Most people enjoy doing things the hard way. To do God's "greater works" is work. Your miracles are less than 100 percent because you pray for partial miracles. Do you want to change your weakness to strength to fulfill your destiny, or to finish your life in frailty and old age? Repent, and walk in God's glory. – Edna Lister, ﻿The Open Door, November 20, 1955. The secret of the ages, of how to be a creator, is the position of your hands during prayer. The position of your hands determines the speed of your miracles. When you pray, lift your hands up in surrender to God's Power. To hold your hands down is like facing a door locked from the inside. You pound on it, but it remains closed. – Edna Lister, ﻿Law and Life, December 6, 1955. Stand, raise your arms and say, "I rejoice and am glad that all miracles are fulfilled now." Then add, "Name, this is your hour of finished, fulfilled and completed miracles" for all others. – Edna Lister, April 14, 1956. Universal mother love comprehends the need to enter that timeless, measureless place where you must let things grow. Petty love only pushes, but there must be balance. When the door opens even a bit, you must dare to do, to go through. Even if you knock down bone china opinions and prejudice, stop and pick them up through love. When you move into God’s timing of love, you give each his time, declaring, "You are now my miracle." – Edna Lister, April 14, 1956. A little five-year-old girl in a poor district eavesdropped on a visiting doctor, who said, "Only a miracle can save him" about her sick brother. Hearing him speak of the need for a miracle, she took her few coins and went to the corner store to buy one. She put her pennies, nickels and dimes on the counter and told the clerk, "Please, I want to buy a miracle." The store owner could not understand her, but a man who had been browsing leaned down and asked her what she had said. She repeated her request, and they asked why she wanted one. So she told them about her brother. The man just happened to be a great surgeon who was traveling through town. He performed the operation and saved the boy's life. Every obstacle fills the bill of "sufficient unto the day is the evil thereof." Life presents you with a bill for your past due debts every hour, by the clock. You always have sufficient energy and strength to use as "pennies" to buy a miracle. – Edna Lister, God Gets There First, May 20, 1956. When a miracle surprises you, it shows that you have cooled off toward God. – Edna Lister, October 16, 1956. "I shall now, from this hour onward, move upon my pathway, step by step, fulfilling my mission. Every hour shall release the Power to wipe out past transgressions of Law and open new lines into complete fulfillment of God’s High bestowed destiny for me in His service. I am His Son (Daughter), used by His glory, filled with His Power, a finished, fulfilled and completed miracle." Use "you" when declaring this for someone else. – Edna Lister, November 26, 1956. Declaration after a miracle: "This is Name’s fulfilled completed miracle of [healing, abundance, etc.]." Reaching out and down with hands, lift high all dislodged force, say, "Let all force unleashed, loosened and dislodged now be ascended into the heart of the fire to be added once more as Power to the purified substance from which it was separated when misused." This will keep force from accumulating and building up and to keep earth cleansed! – Edna Lister, January 4, 1957. A miracle is the change from emotion to the prayer of spirit, a speeding up of time.– Edna Lister, January 24, 1957. "I shall seek to redeem every moment of wasted time, doing all those things, one at a time, that I have left undone, remembering those forgotten ideals, put away in a deep freeze so many years ago. I seek to thaw them and begin my youth again. Although I cannot do everything at once to catch up with all these past neglects, I shall repeat new vows concerning them and make strong statements daily about their fulfillment. I know God will accept this as my proof of intentions and my down payment on account with Him in this new way of life. I know He will accept every prayer I make, every statement of truth. Every time I say, 'Father, I love You' as another payment on this new account I have now opened in the Kingdom of Heaven's bank, He will deliver miracle after miracle, according to His vast promises. – Edna Lister, ﻿Keys to the Kingdom, February 27, 1957. Expectation must follow your prayers, and the Power does the work. Expect and receive the miracles when the subconscious mind bows before the throne of the I AM, rolling away stony opinions and prejudices, the hardness of heart. – Edna Lister, April 3, 1957. To want to tell at length of your miracles is credited as self-indulgence when the description is too long. So tell the story as praise, giving God the credit in as few words as possible. – Edna Lister, June 17, 1957. When you release enough Love-as-Power through devotional prayer, life's problems become miracles. Prayer releases Power through you as a Power station and transformer. – Edna Lister, June 28, 1957. To treat properly for having a miracle, you must take three steps to bring it to pass. 1. Lift all the force which the person or condition which you are treating has released through all time, or which has caused the need (illness, etc.) I add how they created the force, through mind, emotions, desire, will, deed, etc. 2. Then speak as you do for a miracle, preceding the declaration with "Let," as always, thanking the Father and Master for it. 3. Then, asking that all the glory and Power of God move forth and melt and dissolve all the force needed for this miracle. – Edna Lister, July 18, 1957. In Scripture, every verse that carries an admonition is always followed by a reward for having the courage to do or to obey law. Reward covers all past debts and brings all outer present success and inner rewards of ascension. For example, a doctor once cured a very rich patient, but only asked for golf clubs in return. The rich patient gave him five clubs, small payment for having saved the man's life. Your need to receive meets God's need to give and a miracle occurs. The miracle is good measure, pressed down and running over. – Edna Lister, God Is a Gentleman, November 3, 1957. Your creative tools — desire, thinking and imagination — working together as a harmonious whole, are the only means to create a miracle. – Edna Lister, January 2, 1958. A burning desire must be a steady flame with a clear motive. You must make the three planes, physical, mental and spiritual, one. As above, so below. It is not a miracle, but normal to see Spirit. Mediums, clairvoyants and clairaudients are under the White Brotherhood, but a complete opening of the door as a seer is our goal. The highest of God’s agents are mediators, who produce miracles, but not phenomena. – Edna Lister, January 2, 1958. A miracle is a compilation of steadfastness and faithfulness in love of God without ceasing moment by moment, day by day, with no letting go until you get it. – Edna Lister, January 7, 1958. Everyone gets his miracle eventually, but how quickly depends on his fervency and the heat of his prayer. If your miracle does not come to pass, keep on praying! What is the fervency of your prayers? It is according to the degree of heat you turn on. If you pray with about 10 degrees of heat, your answer would be about zero. It would take 100 years for the answer to come! – Edna Lister, January 9, 1958. The more you say, "I am chastened. The Lord wants me to suffer," the longer your miracle is delayed. – Edna Lister, January 20, 1958. Think of the glory of the miracles as yet unborn. You are gestating them with your every breath and prayer of love, and must nourish and care for them until they are born. When your need for love and life meets God's complete need to give, a miracle is born. Plan for miracles. – Edna Lister, Your Life Plan, February 4, 1958. Stay up in consciousness where you touch the Mind of God. Declare, "I AM a miracle. I AM loves you as a miracle now." – Edna Lister, February 4, 1958. We know the Master’s Life and Light are giving us the lights through which we can have our miracles. I will go before thee, and make the crooked places straight: I will break in pieces the gates of brass, and cut in sunder the bars of iron: and I will give thee the treasures of darkness, and hidden riches of secret places, that thou mayest know that I, the Lord, which call thee by thy name, am the God of Israel. – Isaiah 45:2-3. The "hidden riches of secret places" refers to opening the subconscious "treasures of darkness," the idle words, foolish gossip and fears that delay miracles. – Edna Lister, February 5, 1958. You can have a miracle by living at the white point of heat day and night always. – Edna Lister, February 6, 1958. Can you bring death to life? Yes! You can pour out life as a challenge to darkness and say no! Treat so, and you will find that which was thought dead is brought back to life. Ask for great miracles. You can bring the dead to life. Ask for real miracles. – Edna Lister, March 6, 1958. Take all the blame for others' failures to produce a miracle. When a miracle does not come to pass, it is because your lines of Light and responsibility are down. Say, "Father, I am Thy instrument. My lukewarmness is delaying this miracle, not the blame. Here I am. Please make it up through me." The Master warned, "It is impossible but that offences will come: but woe unto him, through whom they come! It were better for him that a millstone were hanged about his neck, and he cast into the sea, than that he should offend one of these little ones." – Luke 17:1-2. The millstone hangs about the neck of the offender and of the offended when either one blames. – Edna Lister, March 6, 1958. Ascension is one miracle of responsibility upon another one. – Edna Lister, May 2, 1958. When Jesus seated the multitudes by 50s and by 100s, it was a mystical action to help produce the miracle of increase. You draw yourself out of the world when you encircle yourself in Light, and you are protected from evil and good. Jesus created a vacuum that drew down the invisible substance into the loaves and fishes. – Edna Lister, May 6, 1958. Miracles will happen when you pray, if you get yourself out of the way. – Edna Lister, June 1, 1958. Praising the Father for His beneficence is the only way to increase the Power and the miracles. Let prayer be on your lips day and night. It is paying you dividends. – Edna Lister, June 27, 1958. The Power of the living God is using you and you shall have miracle after miracle and miracle upon miracle in your lives when you can hold your mind constantly upon the Light, when you do not allow your emotional life to interfere with the Holy Ghost moving through you, when you do not forget who you are and whom you serve. – Edna Lister, September 4, 1958. If things come to you that would ordinarily seem imperfect, see God everywhere as God sees everywhere, then you can only see good. As the Holy Breath moves through, exhale it pure, perfect and uncolored. The only way you can avoid clouding the Holy Breath is to declare it good consciously. Just be completely silent and lift. Do not criticize. We all instruct too much verbally in a critical way. If you are really in love with God, the Holy Breath is sent forth as perfectly as you breathe it, then you can expect miracles. – Edna Lister, October 9, 1958. Take unto you the whole armour of God, that ye may be able to withstand in the evil day, and having done all, to stand. – Ephesians 6:13. To stand unwavering is a miracle keynote. The Power of God is the miracle of all. You eventually get your miracles, minus the deductions of your taints of selfishness. What do you want? 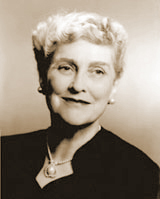 – Edna Lister, January 1959. A world born of Light can never die. The outer world was created as Light, and it shall always be Light. This is a good lesson for all creations, inner and outer. Let all creations start with Light, let them be sustained and powered by Light, and they will grow into all fullness as glorious miracle upon miracle showering all with a radiance so bright it is blinding. – Edna Lister, May 3, 1959. Miracles are laws, accelerated in their action. – Edna Lister, May 8, 1959. How do you prepare for a miracle? You cannot force anything without causing the law of force to react negatively. You can achieve your goals only on a balance of love and wisdom. You can attract anything through love, if you surrender in love to the one idea. For example, in Marie Corelli's novel, The Life Everlasting, the heroine undergoing initiation wanted a rose blooming high on a wall beyond reach. The young woman loved the rose. She stood in complete surrender to her desire that the rose would come to her. Suspended in time and space, universal substance filled her single vision of desire. Her mind had no room to hold anything but that vision. She desired that rose cane to grow toward her, and it did because she had learned the balance between love and wisdom. Desire is how the oak grows from an acorn, the stalk from a kernel of corn, the lily from a bulb. A seed has only one aspiration and it grows into that desire. The reality lies beneath the surface appearance. What you need lies as an invisible seed in space. Given enough time, it becomes visible, though you may never have asked for it. To transcend outer time, however, you must love God, and surrender yourself completely to that one desire, to bring it into manifestation. Stand surrendered to God, and envision the idea until you know every facet of your desire-mold is perfectly cut, like a diamond's facets. Then surrender its perfection to God. Love God, love how this vision is becoming form. Talk to the Father. Thank God that He is condensing universal substance to fill your desire-mold. Exercise your talents, and learn to reach up and draw in universal substance instantly. Dream to escape the mundane and reach the realm of soul. This is how to prepare for a miracle. – Edna Lister, ﻿All Substance Is Universal, May 12, 1959. To touch the heights, where Mind, Substance and Power come at once on your call, is a miracle. – Edna Lister, May 24, 1959. The good of I AM flows as the River of Life through the one who speaks evil, and through you, who see only good, simultaneously. This evil does not even need words to be dissipated. All Power from the Source moves through when you look up and love God, the Source of all good, enough. ﻿When the evildoer's mind descends to touch darkness, the River of Life flows through him and you, and you have a double miracle. This is having God mean enough to you to see only Light. The Law is that where you see Light as the Lord did, it is Light. You will never have a greater lesson. Let your words follow what your soul and heart are. No more "ifs" or "whens" or "buts." These cause delay. Your words follow you up in ascension, and thus far and no further shall the evil go. Speak the Word about the internationalists [gobalists], that their meetings shall be made Towers of Babel. They shall not understand each other but shall disperse with nothing evil accomplished. – Edna Lister, May 24, 1959. There is no limit to the quality or the quantity of thy release of Power. The greater thy vision, the higher thy desire, the more miracles, the greater the miracles. – Edna Lister, May 29, 1959. Take unto you the whole armour of God, that ye may be able to withstand in the evil day, and having done all, to stand. – Ephesians 6:13. To stand means to uphold the structure of your life in unwavering steadfastness. Your consciousness dwells at the point of all mentioned in this verse. When your all is supreme over lesser sources and lesser ideas of God, the reaction to your speaking the Word will be a miracle. The all that puts off and delays is not the all that btings a miracle. It is fragments of the all here and there, enough to create the desire, building up enough all to come to pass. To analyze the all of your experience will show you the greatness or limitation your Source. At moments your all touches God's all, and for that brief moment, you are a creator with God. Become conscious of your Oversoul kneeling before the Source without ceasing, with all your anchors raised upward and hooked into the rim of the Source until you are conscious that all is using you all the time, not momentarily, not briefly, but within the infinite eternal timeless now. – Edna Lister, October 9, 1959. The greatest need to declare a miracle is when it appears as something else. – Edna Lister, December 14, 1959. You cannot have your credits on the outer and on the inner, too. Miracles are gifts that come directly from the hand of God, not something to boast about, but a gift. Our teaching is not one of demonstration, but of miracles added. – Edna Lister, November 29, 1959. When your ambition is to give up all self, miracles come. Do not doubt the results. – Edna Lister, February 4, 1960. Whenever you see evil, instantly reach up and declare, "This is good. Let Light go forth." Raise your arms and declare it good, no matter how it looks. Something marvelous happens. Instantly a bomb of Light explodes over it. If you look up immediately and do not dwell on the evil, miracles happen. – Edna Lister, February 4, 1960. Old age means to let go of all alertness, aliveness and caring, letting go of the goal, living from day to day as the world sees it. To be alive and alert, you must go higher and higher. It is a definite choice between life and death: Vigilance and steadfastness every moment are the keynotes of life. Use "I AM loves you as a miracle now" for your body. Do not speak of pain. Ignore it and go up, remain up. "Faith is the invisible substance of my visible miracles to come." Abundance becomes to visible as the blue sky lies beyond the storm clouds. As clouds cool the temperature, vapor condenses through a lowering vibration into rain, which is a material substance. Between ice and water is the place of miracles, where abundance becomes visible as health and things. – Edna Lister, February 23, 1960. An instantaneous miracle comes when a picture in imagination accompanies the spoken Word of the law. – Edna Lister, March 3, 1960. The Power of God moves forth through you to create new ways to express love joyously, faith steadfastly and to radiate the glory of God in visible ways called miracles. – Edna Lister, ﻿A New Technique for Living, March 7, 1960. The fervency of your prayer determines your miracles. The higher you go, the more tests you will face. If you always love God fervently, you need no tests because you would not let go. So, if you are still being tested, you have not yet reached that high point of perfect soul freedom. – Edna Lister, ﻿How Can I Help Myself? May 31, 1960. Substance descends from the Source to become visible. All universal substance must be lowered to the fourth dimension to become a miracle. What you desire becomes visible under prayer. – Edna Lister, ﻿How Can I Help Myself? May 31, 1960. Faith is the proof of your miracles. You can pray for help and have a miracle without knowing any law exists, or that faith operates under law or is law in action. Later, you pray again, but have no miracle. Thus, you learn about the perfect laws governing miracles. – Edna Lister, ﻿How Can I Help Myself? May 31, 1960. One can pray for help, have a miracle yet know nothing about law. Later he may pray, have no miracle and blame God. He prayed fervently with faith and praise the first time, Power descended and God healed him. The second time he was just a ceiling-bumper. Great faith and fervor in prayer can bring a miracle, but you need more than just words. Comply with fundamental abstract law and have faith in the kingdom of God, not in what you are going to do. You must know law and be law to have a miracle every time. Stop anticipating what you will do after the miracle comes, for that diverts your intensity and no miracle results. Never dwell on what will happen if your miracle fails to come. Failure to receive miracles is due to the lost Word, "good." Declare, "This is good. I believe to see. Help mine unbelief. I am the truth. I am the living truth. I am building new eyes, ears," or whatever you need. – Edna Lister, ﻿How Can I Apply Law to Myself? June 7, 1960. "Let these prayer molds be filled now. Thank You, Father for filling my perfect molds a thousand times an hour!" Clear your mind of "me," then visualize the same thing for your loved ones. This treatment for prosperity circles earth, condensing, as a churn condenses butter from cream, and returns to fill your prayer molds. When you use such a treatment for health, it returns to you as strength. Your visualization and declaration calls to all your orphan life sparks and soul substance floating about, condenses them into a denser form and magnifies itself as a miracle accelerated. – Edna Lister, ﻿Is it Right to Ask for Myself? June 15, 1960. While you cannot see law, you do see its results as a miracle or defeat. Failure to have a miracle is due to the lost Word, "good." You lose the Word when you do not use it. Establish saying, "This is good," as a habit. Say, "I AM good. This is good. I believe to see. Lord, help mine unbelief. I AM truth. I AM living truth. I AM building truth. I AM building new eyes, new ears, a new heart (or whatever you need) and I take you with me into the kingdom of heaven." – Edna Lister, July 5, 1960. You make your own miracles. Project yourself into an orbit of joy by riding a three-stage rocket: The first stage is love, the second, praise, the third is joy. Be joyous about everything. When you are joy-filled, God will grant anything you ask in accord with His will, providing you have confidence in Him. The ballast you carry – fears, doubts and prejudices – determines the heaven to which you ascend each day. Yet no matter how much you slip back, the door is always open. – Edna Lister, ﻿Here and Hereafter, October 9, 1960. Let God do His work without your condemnation, opinion or prejudice, which create a veil between you and glory. You create the interference. Give the healing miracle to God. Some people work so hard for a miracle that they squeeze it to death. – Edna Lister, October 10, 1960. You praise miracles into being, from the tiniest to the greatest, for every life spark of substance must be praised to become life-like and strong. – Edna Lister, December 19, 1960. When I hurt my ankle walking on a mountain road, I lay in a heap at the roadside and declared, "This is the greatest thing that ever happened to me. This is God's greatest miracle." If you do not declare it good constantly, you may as well be cursing God. If you let "self" fight an accdent or illness with physical resistance, you fight God. Love overcomes all! Anything under the surface is self taking over. Just declare everything here "good," look up to God, stay high in consciousness and declare love upon it. Pay no attention to it. You don't get a well body by dwelling on it or asking why. Instead, declare, "This is good. I am your good son/daughter now. This thing today is the best thing that ever happened to me, the greatest miracle ever to come to me. Everything is good. As far as I have come, I am good. Hold me, fill me." – Edna Lister, March 21, 1961. If you dilute your faith by doubts and fears, you will delay your miracles. Since praise is the motive power behind every miracle of your life, it follows that it sets both love and faith into action. Therefore, the more you praise, the more vitalized and quickened your love and faith will become. To know that nothing can separate you from the love and faith of God brings miracle after miracle. To praise and name everything that comes to you by God's name on earth, good, gives principle a chance to transform any darkness into Light. – Edna Lister, ﻿A Formula for Daily Living, April 1961. You must choose between using force in demonstration and letting miracles come through praising and rejoicing. Demonstration requires that you be forcefully adept and insistent in pursuing a goal. When you have forced and gotten nowhere, then wondered if you were right, you're stuck. Let God use you to produce the miracle you need. – Edna Lister, ﻿The Key to Integration of Soul and Spirit, June 6, 1961. Put crosses on the mouths of those who speak foully that they speak miracles. – Edna Lister, June 12, 1961. To heal yourself or to treat for others, you may take only your devotion and love of God into the Light, not the condition. Light comes from many lesser sources, so you must break through all "ceilings" to the highest Light. If you want a miracle instantly, go to the high Light, not into your skull to get lost. – Edna Lister, August 3, 1961. Love integrates ample life to overflowing, with enough left over to feed you all night. One moment of thrilling ecstasy in the golden silence always means a 100 percent miracle. It may not always be yours, but a miracle is granted somewhere. – Edna Lister, The Key to Right Action, October 1, 1961. Do not become the victim of anything, the telephone, the doorbell, anything. Recondition yourself for life from above. Declare all negativity that comes your way good so that everything you touch becomes a miracle. Do not hug a miracle. Praise it, love it, hold it, and send it on its way to do its work for someone else. – Edna Lister, October 22, 1961. If you talk about a miracle, you siphon the Power that should be going into new miracles. – Edna Lister, October 22, 1961. In one breath, you can declare a perfect miracle and in the next fall into idle speculation. This has been an anchor on earth for many. Such idle speculation anchors your loved ones. – Edna Lister, October 26, 1961. All prayers are answered. You pray for a miracle with all your heart and soul and nothing happens to you that you can see or feel. Yet somewhere in the world, someone in desperate need has a miracle on your prayer. For every prayer becomes a miracle somewhere and your turn will come if you keep on praying for your miracle. Every prayer is answered! – Edna Lister, December 27, 1961. Every morning, declare, "Thank You, Father, for this new, shining day and for the strength, love, joy, faith, Light and enthusiasm to move through me as a cloud of glory on high, so that I am floating through the day within a sphere of Light. With You, all things are possible. I am Thine every moment of this glorious day, and miracle upon miracle shall take place all day long." – Edna Lister, January 6, 1962. All things increase, and all things are magnified to the glory of God where praise abounds from gratitude. When gratitude is the basis of prayers, you can have miracle upon miracle. They shall surprise you, for all the prayers sent forth that have seemed unanswered and delayed do return as full miracles. Every prayer is answered as a miracle on earth for someone, whenever it is uttered. Later, after the earnings are finished and time is fulfilled, they are returned to you not void, but as unexpected miracles. They may not be the miracles you would have had years ago or last year, but they are miracles for this year. – Edna Lister, February 7, 1962. You must back your spoken Word with a burning desire, a vivid imagination and acting as if you had it without question. Every wish is finally and eventually fulfilled. You must keep the emotions, mental life and imagination lifted. The greatness of imagination, thinking and desire determines the difference between an Adept act of demonstration and a God-given miracle. Under the process of a demonstration come delays and failures. God shortens time for a miracle. – Edna Lister, March 29, 1962. Forever is the duration of an intensely lived experience, a condition in time and space with respect to duration. Your consciousness is conditioned, and mind is the conditioner. Man's extremity is God's opportunity. Your job is to be an instrument for the fulfillment of miracles. To accomplish a physical miracle after having done all, stand unwavering, immovable, untouchable by anything the world can say or do. Declare, "I reach out with arms of Light and bring it together for good!" When you believe you have your miracle, you shall have it. – Edna Lister,﻿Heaven Is a State of Consciousness, April 3, 1962. If you stand in the "secret place of the Most High," then nothing shocks or upsets you. Accept all that comes and miracles are your rewards. Accept a miracle joyously, even though it comes ten years late. All that stands between you and your rewards are dark spots of self. Job said, "Though He slay me, yet will I trust in Him." – Job 13:15, and his rewards came. – Edna Lister, ﻿Heaven: A Place to Fill, April 10, 1962. As he passed from Jericho, two blind men cried for mercy from him as the "son of David." He restored their sight, then told his disciples, "Whosoever will be great among you, let him be your minister; and whosoever will be chief among you, let him be your servant: Even as the Son of man came not to be ministered unto, but to minister, and to give his life a ransom for many." – Matthew 20:26-28. When you follow the Master on the Via Christa, you must be the willing servant of all. – Edna Lister, ﻿Loyalty, April 15, 1962. The whole world is under the laws of transformation, expressed in nature as the changing of the seasons and metamorphosis. Truth and soul consciousness elevates transformation to Transfiguration. The I AM consciousness "accepts," reaches up to contact God's desire to give, and the result is a burst of illumination. Your whole life is transfigured, as was Jesus' on the Mount of Transfiguration. Under transfiguration, you step from the old fate line onto your new path of destiny. You can change indifference into a burning soul desire. Your cosmic victory transfigures you, and all Power moves through you. When you become transfigured into the full stature of the Christed consciousness, your vision is a flaming glory. You may expect miracle after miracle, and your creations made visible and perfect. – Edna Lister, ﻿﻿Your Contact With Cosmic Consciousness, September 7, 1962. To talk to God, just reach for Him and turn on the full Power of the Source. When you reach, a thrill moves through you. Breathe up, stretch and reach higher in an ecstasy of expectation. When you are sky high in fervor, you can move mountains of darkness, lifting it from earth. Miracles come from one such moment of joyous exaltation. Somewhere someone will receive a prayed-for miracle. Perhaps your personal need will not be met, but somewhere someone always receives a miracle. – Edna Lister, ﻿The Lily Bulb, September 25, 1962. As a single shout may start an avalanche, so does your song of praise open a vibration of glory. The quality of your desire, thinking and imagination, the quantity of your praise determines the speed of your miracles. The greater life's challenges, the greater your miracles, your exaltation, your triumph. – Edna Lister, ﻿Healing by Principle, September 30, 1962. The importunate widow (Luke 18:2-8) is the key to the secrets of miracles. Never look back. Never stop working. If you let down, even for a minute, to lie in green pastures, they turn brown. A miracle is the compilation of unceasing steadfastness, faithfulness and the love of God, moment by moment, day by day, month by month, without ever letting go until you have it. A miracle does not set law aside, but accelerates it. The result you get and the time elapsed depends on the fervency of your prayer. Your faith can be any degree from sub-zero to white hot. Turn up the heat, pile up your miracles and receive miracle after miracle. Decide what you want. Pray for it, visualize it. Believe you have it! See it coming into manifestation, then act as if you have it now. Pray in words or statements, use any ritual, but make it fervent. – Edna Lister, November 16, 1962. Having a miracle is the sign that you need to work harder than ever after that miracle. You are under a solemn obligation to release double the Power after a miracle. This holds the doors open and nothing can close a door our Lord has opened. – Edna Lister, December 19, 1962. When you breathe deeply and consciously under loyalty, honor and integrity in devotion, you have a miracle. When you have the selflessness of devotion to God, you become that point of love and devotion of God as you, and this is the place of miracles. – Edna Lister, April 4, 1963. You must accelerate the healing Power you direct by the spoken Word a thousandfold to have a miracle. – Edna Lister, ﻿Earth’s Earliest Ages, June 11, 1963. The white point of heat is the miracle heat. Love takes you right through to the Source. – Edna Lister, ﻿What Causes Chaos, June 25, 1963. God makes miracles. Read the first three chapters of the Book of Joshua, which hold dozens of miracles, from crossing the Jordan River to taking Jericho, whose walls simply fell down. – Edna Lister, July 4, 1963. With God all things are possible. – Matthew 19:26. When you stop bracing yourself against life, when you reach for and embrace life as beautiful, you turn the "impossibles" of man into the "possibles" of God. When you finally accept that God makes miracles, you are ready to ask anything in the name of Jesus, the Christ. Yet you must desire it, and believe that you have it. – Edna Lister, July 4, 1963. You can always speak silent words without another knowing you have done so. In fact, most miracles come from the silently shouted words, "Peace, be so. still," or the Word of divine action, "Thou shalt be healed," or adding whatever is needed to overcome another’s negativity. – Edna Lister, July 5, 1963. As we read our Declaration of Unquenchable Love, substance fills our prayer molds according to our imagination, thinking and that most important factor of desire, and a heavenly miracle occurs. Those whose balance of thinking and imagination has been focused on "What will I do if a miracle doesn’t come" find a cipher, a nothing. If you stand and ignore what others say in doubt, you’ll have your yes, your miracle. Ascension is the most important part of our work. We want a place to go, not just to hang suspended in nothingness. Read our Declaration of Unquenchable Love to keep your hand on God’s railing. – Edna Lister, November 17, 1963. You can have more miracles more often by declaring, "Let there be Light! Let the Light move through!" The first act of Creation was "Let there be Light!" Raise your arms and say, "Here I am, Father! Let there be Light!" This takes a moment instead of an hour, and you contact God directly. It doesn't take as much time or effort as meditation and concentration, but it does bring miracles. – Edna Lister, ﻿Seven Stages of Unfolding, December 3, 1963. Soul expression harnesses God's potential Power and releases it though prayers and declarations, receiving miracles and success. Self-expression often creates delays for the nonbelievers. Ranging from the atheists to agnostics in their degree of belief in God, they have no respect for His Power. Declare, "Of myself, I can do nothing." Breathe the Power of the Almighty. To man, a million things are impossible. Yet one man comes along who thinks or knows it is possible and does it. If I declare it "impossible," so it is to me. If I declare, "Not I, but the Power can do anything. All things are possible with God. My God can do anything," and so it shall be. – Edna Lister, ﻿What Is Power? February 2, 1964. Love enough does the work. One person, who is praying, can supply enough love for a hundred miracles. The fervency of your desire in limitless degree determines the size of the vessel you become. So reach for the stars and know that your body physical is equal to the Light needed and shall be easy, comfortable, painless and marvelous. – Edna Lister, April 9, 1964. Let the healing power move forth to do its work. Let your thoughts and expressions follow your vows, which are high enough to heal the world if unobstructed by self — a constant unwavering and without-shadow-of-turning vibration shall build up the Power needed for miracles. You have so often cut off your own miracles by lack of constancy. Hold, then, without guile or guilt of self and know the love of God uses you to its utmost in fulfillment. – Edna Lister, May 14, 1964. Fairy tales describe a wand as something waved to produce a miracle. A miracle is an instantaneous acceleration of law. Your spoken Word goes forth on a vibration as an active magic wand. – Edna Lister, Your Magic Wand, May 22, 1964. The quantity of your love determines the quality of your faith. If life's daily frustrations dilute your love, you will not appear greater. If you dilute your faith by doubts and fears, you will delay your miracles. Since praise is the motive power behind every miracle of your life, it follows that it sets both love and faith into action. Therefore, the more you praise, the more vitalized and quickened your love and faith become. If your desire-molds are well planned and built, and you continuously keep the substance of love and faith flowing into them by praise, nothing should delay your speedy results. Praise keeps love flowing to touch everything about you with its transforming magic. To know that nothing can separate you from the love and faith of God brings miracle after miracle. To praise and name everything that comes to you by God's name on earth (good), gives principle a chance to transform any darkness into Light. Thus, "All things work together for good to them that love God" enough. – Edna Lister, ﻿A Formula for Daily Living, ﻿June 16, 1964. Archaeologists confirm the Bible. Just as told in the Book of Exodus, Moses struck a rock and produced water. Energy researchers are extracting water from rocks today. Moses understood that to work a miracle, you must have God as your consciousness, not God and. – Edna Lister,﻿Rejoice! God Reigns, July 5, 1964. Millions of unborn miracles are yours for the asking and for the giving up of self, becoming Light's instrument. – Edna Lister, ﻿Love in Action, August 4, 1964. Jesus could have worked spectacular public miracles that would have caused men to be in fear and awe of him and the Father. That would have attracted more people to follow him. Instead, he chose the way of sacrifice and small miracles, which was still enough to crucify him. – Edna Lister, ﻿The Good Shepherd, November 1, 1964. You say, "It is good. Let the Light move through and heal," and according to the degree and kind of your desire, Light does the work. A miracle is the result of someone's burning desire going forth. – Edna Lister, ﻿This Is Good, Let There Be Light, November 27, 1964. If you pay attention to details, you have miracles. Attention to details is imperative. Praise and gratitude for a miracle brings it into outer manifestation. The Father gives the promises, but we must fulfill them by praise for what He has promised. So. our release of substance brings the miracle forth into form. – Edna Lister, November 30, 1964. No prayers go unanswered. When you pray and it seems your prayer has not been answered, a miracle has happened for someone who really needed it. Your prayer is part of the great Divine Plan to bring all humanity back to God. This is God’s way of saving the unbelieving ones all over earth. One day God will roll your seemingly unanswered prayers in one big bundle and return the miracle to you. – Edna Lister, December 13, 1964. When you pray for a miracle, God bestows a miracle in the world when and where it is needed most. He uses your seemingly unanswered prayers to lift humanity. The person who has a miracle does not need great faith, but he may not repudiate the miracle or it does not last. When another's faith brings a miracle, but the receiver of the miracle has even a shadow of skepticism, the healing does not last. – Edna Lister, December 14, 1964. The person who has a miracle does not need to have great faith, but he cannot repudiate the miracle or it will not last. When the faith of one on the outside brings a miracle, but if the receiver of the miracle has a shadow of skepticism, it will not last. – Edna Lister, December 13, 1964. Soul expression harnesses the potential Power of God, and releases it in prayer and declarations. The results are miracles and success. – Edna Lister, ﻿What Is Power? February 2, 1965. Your own miraculous good is always ready to alight beside you and fold its golden wings, like a butterfly. Yet when you repudiate a debt, off it flies, back to the mountain top of unattainable desires, where it waits until your next spurt of high desire sends it winging your way once more. – Edna Lister, ﻿Responsibility, February 14, 1965. The full miracle cannot be accomplished until every cell of the consciousness is purified of self. The Power is yours to accept and to express as you will. And when it reaches that fine edge of consciousness, then the miracle will be in your hands. – Edna Lister, March 21, 1965. To produce an "impossible" miracle, stand in silence and hold the goal before you. You must be faith only with no feeling of "I must." Little by little you add substance to the goal. – Edna Lister, April 22, 1965. You center your attention on something, from birth to transition. Wherever you center your attention, there you have miracles. You must choose — Light or dark, up or down, soul or self. Your lifeline moves along your attention-line. When you pay attention to self, you notice aches, pains, lacks and needs. You have a miracle of needs. Your whole life flows into "need molds," which are full of holes, such as self-pity, and so are always empty. You are using God's life, but everything leaks out. When you pay attention to soul, the fullness of God's supply makes your molds self-sealing, and the substance does not leak. Soul-attention creates joy. – Edna Lister, ﻿Your Soul’s Accomplishment, ﻿May 30, 1965. You attach a Power-line to everything on which you fasten your attention, and you have a miracle, for tension increases and the Power pours forth. Expectancy follows attention. – Edna Lister, June 3, 1965. Extend a line of Light straight through to the Source for a miracle. Place that line with a burning desire, fervor and love. If you fray the line with idle words, self, grief, etc., your Guards must repair the short circuit among all your lines. It's a tremendous amount of work for them. – Edna Lister, Pythagoras: His Three Degrees, June 8, 1965. Where you center your attention, the Power follows and creates a miracle, because Power is a miracle wherever it touches. It cannot be anything else. Power must be itself and must go forth. It increases whatever your computer commands tell it. Our likeness to a computer ends there. God’s Power creates the command you put into the computer. Where your desire is, center it. As you center it, Power follows, feeds it and creates. – Edna Lister, June 17, 1965. Time and place must dovetail, or no miracle can result. All parents must teach their children that a miracle may simply be knowing the right thing to say. Yet you must first have the right time and be in the right place. First, wait on the Lord in the high place. Next, keep your attention centered on the goal, on what you want. Your Power-line always follows your attention. The Power-line of faith, focused on the goal, increases a miracle. If your attention is on pain, Power moves in and increases the pain. Then hold your attention focused on the object of your desire, without wavering. – Edna Lister, ﻿The Golden Fleece, July 4, 1965. Desire must be burning, thinking unwavering and imagination flaming to produce miraculous creations. – Edna Lister, ﻿Your Mysterious Coach, August 25, 1965. What you pay attention to, grows. So pay attention to living in the Light, in accepting the Light. Attention, plus Power acting, increases the life anywhere you focus. If you focus on needs, such as illness, you have a miracle of increase, and the illness grows. – Edna Lister, ﻿You Are Immortal Now, September 19, 1965. First, enter your room and close the door, which means to close out the sound of outer noise. Then close out emotional "sound waves," the "pull" of others' feelings, sorrow, anger or emotional pain. Close out their mental "sound waves," their conflicting or demanding thoughts. Then, and only then, can you stand in the golden silence, using your open sesame of praise. This puts you in the right place at the right time. All failure comes from being out of step in time or space. They must work together and always overlap to produce a miracle. Do not leave the golden silence. Continue breathing deeply to hold contact. You must know that you are immortal now, and that you need no other substance for a miracle but the one divine substance. Every time you pray for a miracle, a miracle happens somewhere. Keep praying. – Edna Lister, ﻿Eternal Youth, October 21, 1965. Wherever you center your attention, your miracles will come, for your Power-line to the Source of all miracles will follow your attention, without fail. Miracles of increase will manifest wherever you focus your attention. If you concentrate on illness or needs, they will increase. Praise God unceasingly for what you do want, and your success will inevitably manifest as miracles. – Edna Lister, ﻿Eternal Youth, October 21, 1965. You may not make a demand for a miracle. – Edna Lister, Comprehension and Recompense, November 7, 1965. Your share of the measure of God's Light, strength and dependability is in direct proportion to your fervor in believing to see God's miracles and works made manifest. – Edna Lister, Truth as Eternal Beauty, November 21, 1965. After breathing into your body in the early morning, reach for the stars to call upon the Power and the Substance that is ready to become whatever the need decrees. When you reach up, it unlocks the shutter that holds it from escaping, and a thought then frees the Substance and the Power to fill your prayer molds. Then declare, "Let enough Power and Substance move forth to make miracles at the end of every line that Thou hast established through me, Father." Thus, if you left any laggards or holes the day before, they will be filled and the line made tight to receive the Power and the glory. This is how to have greater miracles. – Edna Lister, January 4, 1966. Unless you supply sufficient praise and gratitude for those receiving the miracles you pray for, the lack can leave little dark vacuums, like grapes of wrath. To lift them, think of each, saying, "I love You, Father. How wonderful You are. Father, thank You for Name's miracle." If you love enough, spheres of golden Light fill the auras of all the souls you have lifted. Thus you are given the privilege of bursting these grapes of wrath. – Edna Lister, May 23, 1966. You build the soul of a miracle on inner and it condenses on outer. It must be lowered from spiritual substance. – Edna Lister, June 12, 1966. This is the great age of miracles. Miracles come in two types, mystical miracles, which result from prayer, and scientific miracles, which result from labor and hard work. You find yourself forced to work hard when you forget that only one Source, one Substance, one Power and one Mind exist. There is only one Light; without the Holy Breath, there is no life. Miracles of science began with a log across a stream and progressed to stepping stones. Then man produced the first bridge, anchored on the stream banks, to huge suspension designs that loft us into the sky. Someone cut the first wheel from stone, which has progressed to the jet engines that work on electronic power. All these are examples of the one Mind acting through varying degrees of the one Power to produce many forms in the one Substance. – Edna Lister, ﻿Your Eternal Destiny, October 3, 1966. Count each miracle and each blessing, for your gratitude, appreciation and dedication through praise for those miracles brings more miracles. – Edna Lister, October 14, 1966. Miracles are dividends from investing your life in Christ. Dividends come from the size, quality and perfection of your praise and faith. Every day has more Power coming through than the day before, so this is the greatest day ever! Today, every miracle could be added! Did you know this when you got up this morning? This is your measuring rod. Where are you? Are you grabbing a camel's tail or are you sitting on its hump? – Edna Lister, October 16, 1966. If there is anything in your body that your conscious mind cannot correct, ask your Father to speak the Word for your healing, ask for the Light to move through and ask to be held in the Master’s arms. A point is reached where healing under outer Adept techniques cannot take place but a supreme miracle certainly can! – Edna Lister, October 20, 1966. As an aid to understanding, imagine space as rotating clockwise while time rotates contraclockwise. As time centers over space, they meet and focus on you as your personal lights, according to your particular rate of vibration, according to your degree and kind of needs. Balance and the spoken Word in that moment brings a perfect miracle. When this flash occurs, you know to speak the Word. Though cross-vibrations may delay time and space meeting, declare, "Let there be Light" a thousand times an hour. Then you will be on the dot when time and space meet. All you have to do is watch for time and space to meet and miracles will appear. – Edna Lister, October 27, 1966. If anything in your life seems impossible, now is the time to declare that God, who is all the Power in the universe, is doing it now. Then thank God and write another thank-you letter for it. See the miracle, hug it gently and hold it until it comes. Let there be Light! – Edna Lister, Your Mount of Transfiguration, October 30, 1966. The source of miracles lies above time and space. Thought and form come together under time and space for a miracle to appear. – Edna Lister, November 13, 1966. When you have a premonition, build an overpass above it and turn it into a miracle. – Edna Lister, Increasing Your Faith and Compassion, November 13, 1966. Move from the "waiting room" of "I'm waiting for a miracle" into the delivery room of "I have it now." – Edna Lister, Increasing Your Faith and Compassion, November 13, 1966. Meet life's challenges with the full love of the Christ. "This is good. Let there be Light." Thus, your devotion, strength, love and compassion are great enough to change any situation, any failure, any lesser thing into a miracle of God's glory. – Edna Lister, God's Measuring Rod, November 20, 1966. Declare, "This is good" and the seemingly impossible miracle happens because love is the substance of which everything is made, and it has the power to absorb. – Edna Lister, God's Measuring Rod, November 20, 1966. When you step onto the path of destiny, you move into Christed consciousness, where time and space are one, and you call it a miracle. – Edna Lister, Following Your Path of Destiny, December 4, 1966. A miracle is an acceleration of time as well as an increase in the quality Power's activity. – Edna Lister, December 8, 1966. To apply faith as nonresistance, you must stand, hold and endure, which is the background, the foundation and the reason for miracles. Stand, hold and endure continuously until the miracle comes. Stand, even if you fall flat on your face. – Edna Lister, Be Strong to Endure, December 18, 1966. Anyone who looks up and does not whine or complain is material for a miracle. – Edna Lister, January 5, 1967. When your desire burns at the white point of heat, you can hold it there and throw the grappling hook of praise over the wall of Light to hold fast. When anything approaches, praise God for what you have or want. Just praise and suddenly what you need for the next move, or the right words will be impressed upon the mirror of your mind. – Edna Lister, May 5, 1967. Disintegration is one of the greatest factors in miracles. If the miracle is granted at the wrong time, which is when the death ray is predominating, it would wear out the soul or object in need by just vibrating through it, causing the slow dissolution of the cohesion among the life sparks. If you observe closely, you can discern how the pulse and the rest of the system can be shaken out of the beautiful rhythmic harmony which brought them together in the first place. Once the timing is disarranged, there is no stopping disintegration. Whatever it is, it will fall apart, and this kind of disintegration can never be repaired. It has happened in marriages where one of the parties was insistent upon marrying at once only to be taken out of the body a few days or a few weeks later. Selfishness always breeds despair and a collection of all debts to be paid at once. When an ego has no exchange rate, the body does the paying. – Edna Lister, May 12, 1967. Your miracle comes after you release God's Power around the world. You receive what you have earned after your deductions, which are the times you cool off or use idle words, etc. The remaining Power fills your mold, like the money, principal and interest, owed on a mortgage. That is the way with healing Power. You must build the soul of what you want before it can become visible. It will come when you release enough Substance, Love and Power. – Edna Lister, All Healing Comes from Beauty of the Soul, May 16, 1967. When you treat unselfishly in prayer, the Power released goes through the person, goes round earth and returns. When you praise and love God enough, a certain portion goes into your molds and when enough new is added, a miracle become visible. It works this way: As that Power moves through you, every vibration around it condenses a little more until it is condensed enough to make a visible miracle for them and for you. As you check with a trained mediator, the vibration either gets either stronger or fades. – Edna Lister, May 18, 1967. Do not put a deadline on your miracle, or ask when it will arrive. Praise while you wait for God's Mind, Substance and Power to build to the point of expression. – Edna Lister, ﻿What Ascension Means, May 19, 1967. A miracle is an outstanding example of the law of expansion and growth. – Edna Lister, Power and Imagination, May 21, 1967. To make miracles visible, ignore the impossible by saying, "Let there be Light." Then, keep thanking the Father for the miracle, without deviation or lukewarmness, until you see it. Keep declaring the Word, invoking the Light, praising, thanking, red hot with faith and burning desire. Move up in consciousness to pure principle, and your mold is filled and your miracle becomes visible. This is how you get the possibles of God to overcome the impossibles of man. Know what you are praying for, and make your words of invocation clear. – Edna Lister, ﻿Practical Methods for Creating Beauty, May 23, 1967. When you renounce what you think you have a right to, then you have miracles. – Edna Lister, Order and Diplomacy, June 4, 1967. Speak the Word of Light and miracles shall spring up. Hold every small gain you have gathered and treasure them, for this is your sign — when the small things manifest. – Edna Lister, June 5, 1967. Science, using the one Light as mass or energy in different combinations, creates miracles. You may do so using the principle of nonresistance. – Edna Lister, Stand, Endure, and Hold, July 2, 1967. You may not demand from others, but you can let love win. "Let the windows of heaven open for a miracle." Your faith must work to earn a miracle, and you must give to receive. At the turn of the 20th Century, one Methodist-Episcopalian minister, Dr. Thomas Parker Boyd, was on salary but his parish was unable to pay him. He and his family were near starving. He knelt and prayed and thanked God for the abundance of food on their table, which was empty. A knock came at the door. God had told one farmer to gather everything his family could spare, and visit. He had brought enough for three months. Through this, Dr. Boyd learned the importance of obedience to law and to praise God for whatever you need. – Edna Lister, Religion and the World, ﻿November 5, 1967. People pray and pray, then distrust the manifestation of the miracle. They put up a large umbrella and cut off the miracle just as it pours forth. – Edna Lister, ﻿November 7, 1967. One great gift you have to give God is to ask for more miracles. You limit God if you ask for only one or two miracles. You cannot ask for enough. Asking for miracles is proof of your love, faith and gratitude. Ask for miracles for the world. How many miracles can you ask for today's quota? God cannot run short of Power or Substance, so speak the Word for healing. – Edna Lister, Why Earth Needed a Messiah, December 10, 1967. Do not ask repeatedly for the same thing, or put a time limit on a miracle. Do not keep peeking or demanding. Just keep saying, "Let there be Light." You must have firm love of God and vivid imagination. See the glory of the miracles for which you pray. Keep Power moving through your petitioned miracles. Have marvelous expectancy. Always thank the Father for everything, and for more ideas to weave into miracles. Thousands of unborn miracles are waiting out there for you. – Edna Lister, Why Earth Needed a Messiah, December 10, 1967. When you doubt your miracles, you doubt yourself. – Edna Lister, ﻿The Phenomenon of Death and Personality Survival, December 12, 1967. Whenever you think, "My way is best," your results are scattered and indifferent. "My way" squeezes a miracle until it is lifeless. – Edna Lister, ﻿Jesus' Many Appearances, December 17, 1967. After you ask for a miracle, put it on God's altar, holding a knife in your hand to sacrifice it, like Abraham with Isaac. Otherwise, you squeeze your miracle to death. Be ready to pay the price. – Edna Lister, ﻿Jesus' Many Appearances, December 17, 1967. You know when enough Power has been released for a miracle to come to pass when you have stood, held, spoken the Word often enough to hold the miracle in your hands. The great cause for delay is like putting the kettle on to boil, then letting it simmer, having turned down the burner, forgetting it until the water evaporates, and the kettle burns. You forget to refill your prayer molds with divine substance. Yet the real reason for delay in miracles is lukewarmness. God never turns off the Power and Light — you do. When your visions and declarations of "Let there be Light" are as regular as the tides, workingwith great expectancy, fervor and devotion, you will have your miracle. But when you create a detour, or name a deadline for the miracle, you need to pray 10,000 fold greater because your deadline was a challenge bound to cause delay. – Edna Lister, ﻿June 13, 1968. God never turns off the Power and Light — you do. Without just appraisal, you become a tempter and it delays your miracle. – Edna Lister, ﻿November 7, 1968. You shall have miracles comparable to those you declare for others and they shall have dividends comparable to all your miracles. – Edna Lister, ﻿November 21, 1968. The available, potential powers of God work through each of us as Light from above. Light moves forth as substance to become whatever our statements, decrees, declarations or prayers form as our spoken Word. When we speak from an inner conviction so deep and firm that nothing from the outer can touch or disturb us, we speed up the laws of vibration, and call the result a miracle. One moment's wavering or turning to the shadows of earth can cut our new vibration, puncturing our mold, allowing the substance being lowered into visibility to dissolve and sublimate again into pure Light, from which it was being formed. – Edna Lister, Unwaveringly I Stand, December 1968. If you pray for a miracle, somebody who needs it more than you do is given a miracle. All it takes to have a miracle, say, "Now is the time for my miracle." No such thing as delay exists. Any lack begins in your mind. Your answer is always waiting now. Stand and shout with a mighty voice, "I have all that is mine now. Let it become visible. Send me through right door to see miracle we need." – Edna Lister, Faith, the Powerful Life, December 15, 1968. ﻿When you comprehend the need to stand in the Light, as the Light, at all times steadfast, unwavering, poised and powerful, then the Power in its completeness goes forth through you. Your steadfast standing and acceptance determines the time elapsed for a miracle. The height of your stillness in standing and the depth of the surrender in acceptance dictate how long it will take for the miracle to happen. Standing, while you are perfectly poised, can touch the Source of All, then you will see the miracle. – Edna Lister, ﻿January 17, 1969. Faith is the substance of things hoped for, the evidence of things not seen. – Hebrews 11:1. You become the evidence of your faith. You must put that miracle, which you do not yet see, on the altar. What is the evidence of things hoped for? Your dream desires are invisible in the world, yet when you lay them on the altar, they are visible. When you look there, you see that the impossible is possible. This is the evidence of things not seen. For example, I have the power to declare, "Let this be healed," and when I do, I see a great shaft of Light, as Daniel did, and I leave it there for God to fulfill. Put the form of the completed miracle on the altar for Light to fill. Each time you go there, see the vision of the form building into visibility. Leave it on a cloud continent of Light and declare it is fulfilled. Do this especially if anyone says it's impossible. Do not blame the other fellow for sweeping it away. If their "impossible" sweeps the vision off the cloud, replace it and add more and more substance to it. – Edna Lister, February 6, 1969. Most people do not realize that time is accelerated to produce a miracle, leaving a hollow somewhere; each use of Substance and Power must be balanced, leaving no hollow anywhere. The most common reason for no miracle is a lack of available Power and Substance to replace that used to shorten time. The balance must be kept, so be conscious of the finest point of balance. Suddenly, for no reason, you say, "Let there be Light," for a few seconds and release Substance, Power and Light to replace what an imbalance of Power used for another need. This goes on all the time, with every Legion, healer and one who prays, speedily donating all they can spare to compensate for that which is used unexpectedly. – Edna Lister, June 22, 1969. A miracle you pray for may involve many other people. Light must go forth to every individual connected with you whom this miracle will affect to determine whether it will interfere with their soul's path. Heavenly Councils determine what portion of your prayer must release Power for others before they bestow your miracle. Be divinely patient when you ask for a miracle for the other fellow. He may need to pay his soul debts first. – Edna Lister, July 1, 1969. When you invoke Power by love and a desire to release more Power, an uplift, a glory and miracles follow. When you stand and hold, day and night, the pathway before you is continually smoothed and the laws of ascension are accelerated so that miracles come almost immediately after you speak the Word. Sometimes the miracle comes after just a thought of having a need met, appearing as a beautiful occurrence on the outer. – Edna Lister, October 21, 1969. A miracle is Light using you as an outlet through which to work. How great an outlet are you? – Edna Lister, ﻿Creative Principles of Divine Action, October 28, 1969. God's available Power potential works through you as Light from above. Light moves forth as substance to become whatever your statements, decrees, declarations or prayers form according to your spoken Word. The laws of vibration accelerate when you speak the Word from an inner conviction so deep and firm that nothing from the outer can touch you or disturb. The result is what we call a miracle. – Edna Lister, December 1969. When you are caught up in the Spirit, you can expect anything. Expect miracles. – Edna Lister, December 16, 1969. Science and religion are one, as two names for God in action. We measure religion by words and devotion, but use the practical scientific method to measure the miracles that science gives us. A miracle is an acceleration of scientific laws resulting from devotional prayers, speaking the Word about what it will be and how it will come. Stand as firmly on knowing what your result will be as does a mathematician on the proof of a theorem. Live by the mathematical exactitude of divine law to pay your debts to God. – Edna Lister, ﻿Laws For Divine Living, February 19, 1970. Grace manifests in odd ways. It is in operation when you go shopping, searching for something particular, and "accidentally" find yourself at the right place. Do you thank and praise God for the miracle, or do you even recognize it? Say, "I am grateful for the glory and knowledge that the Power is using me. Father, I have prepared myself by my devotion, and I speak the Word for a miracle. Let the Power take over," and you have the miracle. – Edna Lister, ﻿Hold High Your Scepter of Power, May 31, 1970. All miracles recorded in the Bible unfold some inner mystery. Stand on this one principle: Faith is the substance of things hoped for, the evidence of things not seen. – Hebrews 11:1. This is the faith, as substance, which moves into action to fulfill the miracle when you say, "Let there be Light." – Edna Lister, November 30, 1970. Jesus took the disciples apart by ship into a deserted place privately, but the people followed them. They were as sheep without a shepherd. In late afternoon, when the people were hungry, he had them sit in rows. Now he had their attention, and they were curious as to what he would do. When he looked up to heaven, all heaven was watching, and a cloud of substance was ready for the miracle of the loaves and fishes. Later, the disciples crossed the Sea of Galilee, and Jesus followed, walking on the water. They, supposing it was a spirit, cried out. He spoke to them saying, "Be of good cheer it is I, be not afraid." At once the wind ceased. They seemed to have forgotten the miracle of the loaves and fishes. Eliminate all doubts that God is omnipotent because challenges still come for you to conquer, as lessons you must learn. For example, you must proceed in an organized way to get a miracle. Never pray for a big project, then wonder what will happen, or what you will do if it does not come to pass. You need extra help the minute you experience any fear, so look up for a miracle. The Light descends to fill you and you let it come forth as substance for the miracle. God abundantly provides for your need. Let His great Power fill your super-conscious mind to give you, whatever your need, super-abundantly. You must believe to see the miracle you want. All things you must believe, without proof, are invisible to your sight. The New Testament is a recital of living in the fourth dimension completely, which is all that is, all the invisible kingdoms and glories beyond. – Edna Lister, December 13, 1970. Never falsely prophesy or say that a miracle cannot happen. All things are possible to God, who is working through you. Yet you must stand in the fourth dimension to coordinate all your physical affairs. When you do, Light shall make your health, emotions, family relations and money perfect. – Edna Lister, December 20, 1970. Jesus appeared to his disciples repeatedly in a body that seemed as flesh so they would really accept that he had risen. He showed them how he could leave earth, taking his body with him, and told them to tarry in Jerusalem for the descent of Power at Pentecost. Peter, the Aries, was impatient with waiting after the Resurrection. "Why can't we go to work?" He said, "I am going fishing." Six others went with him. They fished all night, but caught nothing. They discussed everything that Jesus had said and done, but had not prayed themselves up in consciousness. Then they saw Jesus on the shore, and he said, "Cast the net on right side of the boat." If you pray and do not have a miracle, you have not cast your net on the right side of the boat. The miracle is coming from the Father above, the up side, not from the net under the water of your emotions. The right way to pray must include repentance. For instance, if you have been doubtful, you must change your net to the other side, the faith-full side of the boat. To say, "I am sorry" at night, then hold the same old doubts and fears in the morning, is like remission and relapse in an illness. The same lessons remain to learn again. Lift the negative vibrations you have created, and move your net to the right side of the boat, the faith side. Accept the Power that is touching you and know that it is real. Say, "Let there be Light. Let the Light move through everything I have done," if you make mistake, and lift it into the Light immediately. – Edna Lister, May 16, 1971. Praise God in devotion and thank Him for sending Light through for your miracles, for holding you in the armor of Light, and for new ideas. Say, "Thank You, Father, for sending Light through me, for all my miracles yesterday, today and tomorrow, and for holding me in Your armor of Light." Pythagoras, when asked how often you must look up, lift your head to the Light and praise, told his students, "A thousand times an hour," which means always. – Edna Lister, June 13, 1971. Etymology of miracle: mid-12th Century, a wondrous work of God, from Old French miracle, from Latin miraculum object of wonder, from mirari to wonder at, marvel, be astonished, figuratively to regard, esteem, from mirus wonderful, astonishing, amazing, earlier smeiros, from Proto-Indo-European smei- to smile, laugh (source also of Sanskrit smerah smiling, Greek meidan to smile, Old Church Slavonic smejo to laugh). Copyright 2016-2018 by The Society of the Universal Living Christ. All titles published under "The Via Christa" are copyright protected. All Rights Reserved. You may not modify, publish, transmit, transfer or sell, reproduce, create derivative works from, distribute, perform, display, or in any way exploit any of the content, in whole or in part. No part of any book or paper herein may be reproduced or transmitted in any form or by any means, graphic, electronic, or mechanical, including photocopying, recording, taping, or by any information storage or retrieval system, without permission in writing from The Via Christa. October 2016; modified April 29, 2018.